We know coming to mass every Sunday can be an ordeal with young children! We appreciate your efforts in bringing them to mass so they can encounter God's love and allow God's grace to help your family grow in love for each other too! 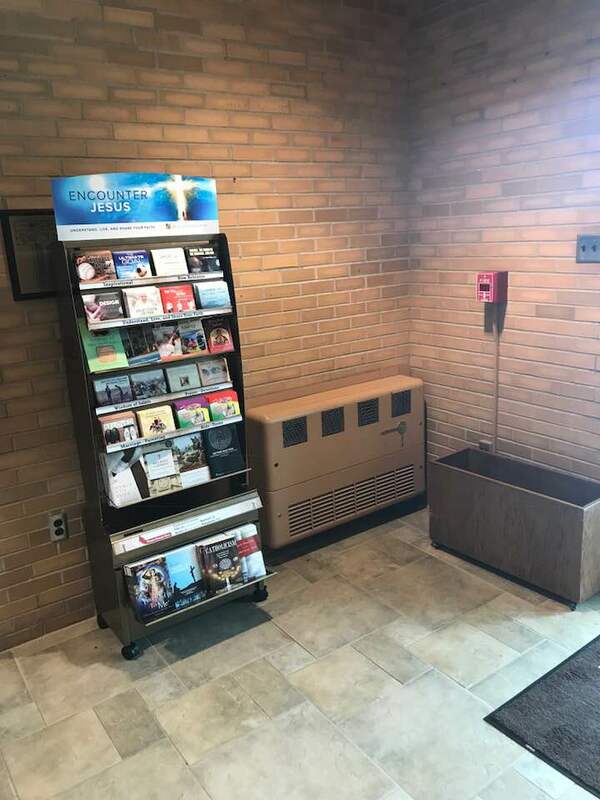 When you come to mass we have some resources to make it easier for you and your children. 1. MagnifiKid: This is a great resource for children who are beginning to read and able to read that helps them follow along with the responses at Mass and readings. In the back of each issue are activities related to the readings. You can find them each week next to the normal missals. 2. 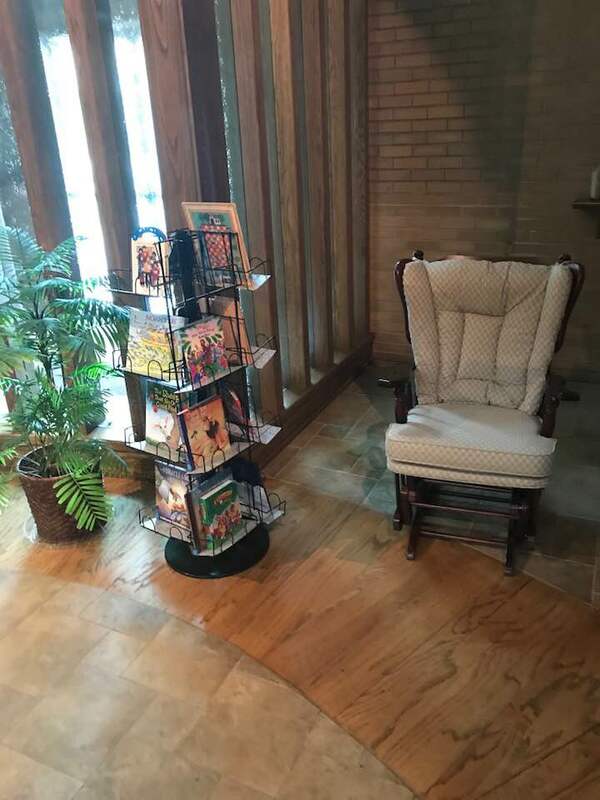 Holy Family Chapel: In the Holy Family Chapel we have books for younger children you can read to them. From Bible stories, the saints, the mass, and God's love for us; these books can help continue to form your children in God's love even if they can't focus on what's going on the altar. 3. Kiosk: We have plenty of resources for you as parents plus some children CD's and resources you can take home each week! Top 10 Tips with Bringing Your Children to Mass! 10. Begin your preparations at home. Pray as a family. Teach your children some of the prayers they will hear at Mass so that they can join in. Show your children how we conduct ourselves when praying – heads bowed or hands folded. Use joy and reverence when talking about coming to Mass. 9. Know your kids. What's right for your six year-old is not going to work for your 18 month-old. Set realistic expectations based on age. For older kids, let them know what your expectations are beforehand. Think about what Mass time works best for your family. If doughnuts are an incentive for your kids, choose a morning Mass. 8. Get to the church before Mass starts. When you arrive early your children have time to get used to their surroundings. Show them how to bless themselves with holy water and genuflect. In addition to the religious significance of these actions, they are multi-sensory cues that the church is a special place and we are preparing for something special – Mass! Children and parents then have a few minutes to pray and quietly prepare for Mass. When Mass starts, kids get to see the change in everyone’s behavior – everyone stands up together, begins singing, and the priest processes down the aisle. 7. See the church from their perspective. Imagine you are the height of a four year-old. If all you can see at Mass is the backs of everyone’s knees, it is going to be boring and frustrating. Sit as close to the front as you can. The side pews are good for containment if you have a sprinting toddler. 6. Stay after Mass to check out the church. Our Catholic churches are visually rich environments. Statues, stained glass windows and candles are all great opportunities for teaching children about our faith. Take your kids for a close-up look after Mass. This is another opportunity to show our children how we act in the church. We don’t play on the altar but a parent and child may come up for a closer look at the altar. 5. Fully participate. Turn off your cell phone before entering the church. Pray and sing the responses. Quietly narrate the Mass for your younger children and explain what is happening. 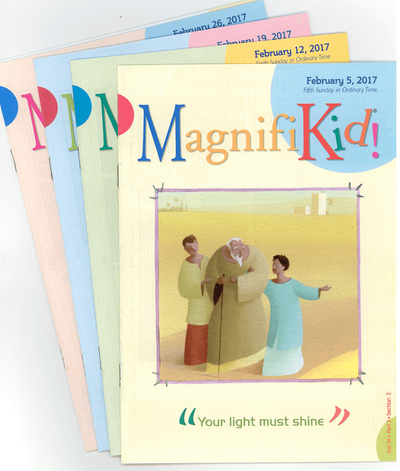 An age appropriate missal or Magnifikids can help older kids follow along. 4. Bring appropriate distractions. Some quiet, age-appropriate church items can really help a wiggly kid. For a very young child this may mean a stuffed animal or a Bible board book. For a preschooler try a few crayons and a coloring book depicting the Our Father. Young readers may enjoy an illustrated life of a saint. 3. Take a few minutes to comfort a crying kid in the back vestibule– but make sure to come back! At some point, every child will be loud or disruptive at Mass. We've all been there. Once your child is calm bring him or her back to the church. 2. Sing! Singing sets a good example and it can cover up the noises of a loud toddler. 1. Bring them! Bring them! Bring them! Children belong at Mass. Here is some practical wisdom from some holy people on marriage and family life! Like anything in life growing in your marriage and raising a family, while having joyful and life-giving moments, takes constant effort and sometimes painfully hard work. Below we have listed various different resources to help! From resources our Church offers, to social services, social research institutes and blogs; we hope you and/or your family find a helpful resource with whatever opportunity for growth you find yourself in. No resource is a end-all-be-all solution; and each has it's only particular purpose and use. ​USCCB's Online Initiative For Your Marriage helps couples at all stages of life, from dating and engagement, to marriage preparation and enrichment, to parenting to understand and live God's plan for happy, holy marriages by providing educational and spiritual resources. For Spanish speakers the USCCB also has ​Por Tu Matrimonio. Marriage Unique for a Reason is another great website by the USCCB that provides prayers, blog posts, a podcast, videos, and Church teachings and various marriage topics. Follow the World Meeting of Families 2018 website to follow the event, find resources you and your family can use, and much more! The Archdiocese of Cincinnati Office for Marriage and Family Life website provides enrichment opportunities here in the archdiocese and resources for marriage and family enrichment. Strong Catholic Family Faith is an online resource bank for parents to help your family celebrate sacraments, liturgical seasons, and pray. They also provide parenting resources for raising your children through the various developmental stages too. Peanut Butter & Grace is a Catholic family blog. It has reflections on family life, prayers, and activities you can do with together as a family! Carrots for Michaelmas is another Catholic family blog worth looking to cultivate Catholic families through literature, liturgical living, and urban homesteading. Catholic Social Services of the Miami Valley provides social services including counseling for individuals, couples, and families, parenting support programs, supervised visitation, adoption services, plus more that you and your family might find useful. Parent Further, a Search Institute resource, is an online resource to help families strengthen relationships through share activities. Family relationships provide the foundation from which young people can develop the motivation to overcome challenges and thrive. Catholic Therapist is a website where you can find search for local catholic counselors if approaching from a Catholic perspective is important for you. Counselors place themselves on this site so it is recommended you look at the other resources provided too. Fuller Youth Institute, particularly Sticky Faith, is another great research base resource to help parents in raising their children!